International beauty and skincare umbrella brand, DECIEM, has unveiled their first store in the UK for its subsidiary brand, NIOD, at 73-75 Monmouth Street in Seven Dials. Operating as a dual-fascia, it is the first physical location for NIOD, an innovative range that pushes the limits of science in skincare. 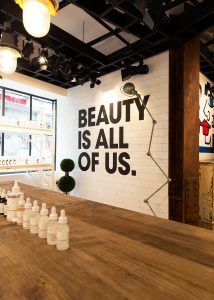 Standing for ‘non-invasive options in dermal science’ and described as ‘skincare for the hyper-educated’, NIOD shares the 1,265 sq ft unit with parent brand, DECIEM. Store design and construction was carried out by DECIEM’s in-house team and features custom built units showcasing the full NIOD range. In-store DECIEM ambassadors are available to talk Seven Dials customers through the brand and build custom regimens according to specific skin concerns. 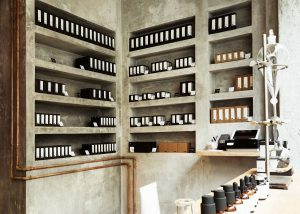 The new store neighbours popular brands such as Dinny Hall, Le Labo, and Larsson & Jennings. JLL and Shackleton acted for Shaftesbury. 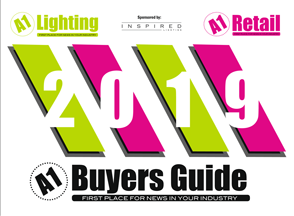 DECIEM was represented by CBRE.